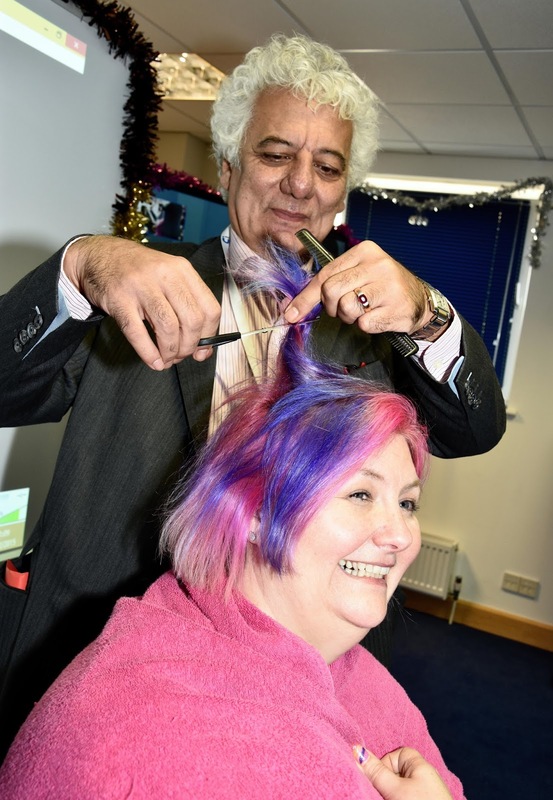 Our very own Sharon Allen went for a bold new look for Christmas - and it's really paid off, as she has raised thousands of pounds for good causes. Sharon is Group Finance Director at award-winning, Basingstoke-based Centerprise International, and both she and colleagues have pledged to use their fundraising muscle to support three charities over the next 12 months - Ark Cancer Centre Charity, Help for Heroes, and MCCH, which helps people to manage mental well-being challenges. To get the fundraising ball rolling, Sharon decided to lose her locks in time for Christmas - and her brave feat has paid dividends for charities. 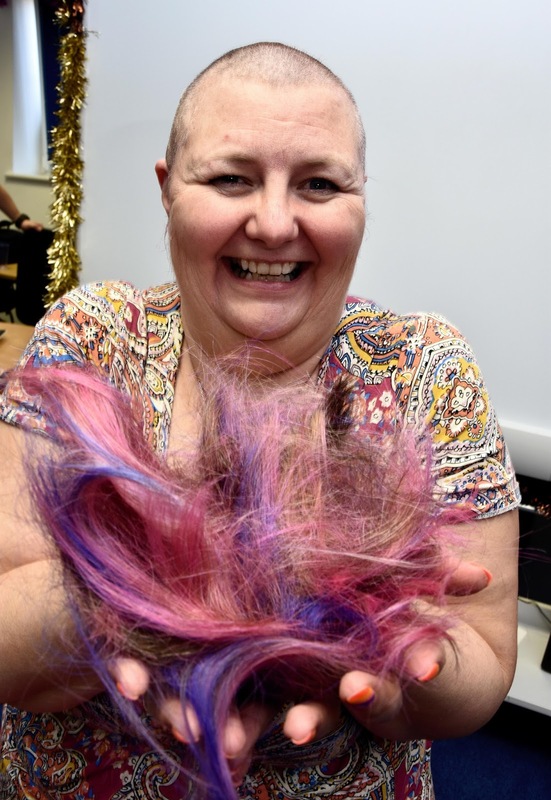 The donations came pouring in, and by the time the scissors and clipper were wielded on December 23rd, Sharon had raised more than £5,700 in online and offline donations, and has every hope that the final figure will top £6,000. Sharon's purple and pink locks were lopped off in front of colleagues at the company's Hampshire International Business Park headquarters in Chineham. The hair was sent tumbling thanks to some snipping and clipping by Centerprise International Chairman, Rafi Razzak, Group HR and Support Director, Sam Lailey, and Dave Taylor, from the Systems Integrators team. "I am staggered and blown away by the support that I have received from family, friends and work colleagues. I was hoping to raise £500, so to raise well over £5,000 already is amazing." Just before Sharon's fundraising haircut, Director of Fundraising and Communications for Ark Cancer Centre Charity, Mark Jones, gave a talk to the Centerprise team about the charity, which is raising £5 million towards a cancer treatment centre that will help and support people in the Hampshire Hospitals NHS Foundation Trust area. "The Ark Cancer Centre Charity team are so grateful for the support of the staff at Centerprise International. The commitment and involvement of the 150-strong team will really help to raise awareness of the cancer treatment centre project as well as funds for the charity appeal." The £5m appeal will ensure a range of support services and complementary therapies are available alongside chemotherapy and radiotherapy treatments in a calm and uplifting environment. The new centre is earmarked for a location in the Basingstoke and Deane area, and if the preferred site near to Junction 7 of the M3 is approved, it will be easily accessible to everyone in the HFFT region. The centre is scheduled to open at the end of 2018.